I was walking around the shops on the plaza in Santa Fe, sort of milling about as tourists tend to do. Anyways, I wandered into a building and found these stairs. 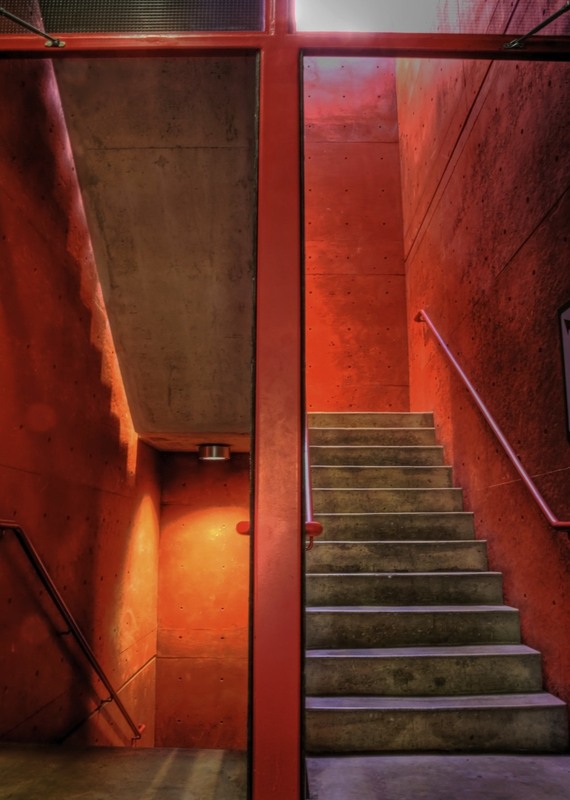 I am a big fan of the color red and really liked the light on this red stairwell, although at the top it was just a bit bright. I am also a fan of architecture and symmetry, so the clean lines and repetitive pattern caught my eye. So, I snapped a few. After processing, it got me thinking more that this is symbolic of your choices in life. You can choose to go up, or down, or somewhere else entirely. I read a quote that said that "choices are the hinges of destiny" and I believe that is very true.